History repeats. For a cricket team which depends a lot on history, this can be a solace after its comprehensive innings defeat in SCG. India is 2 down going into the WACA Test like in 2008 but unlike 2008 this team doesn’t inspire any confidence in its followers to remain optimistic. When the captain of this side which has now lost six consecutive Test matches outside the subcontinent says “We can beat this team in Perth”, it draws only laughter. Not much to celebrate for the Swami Army this Australian Summer so far. 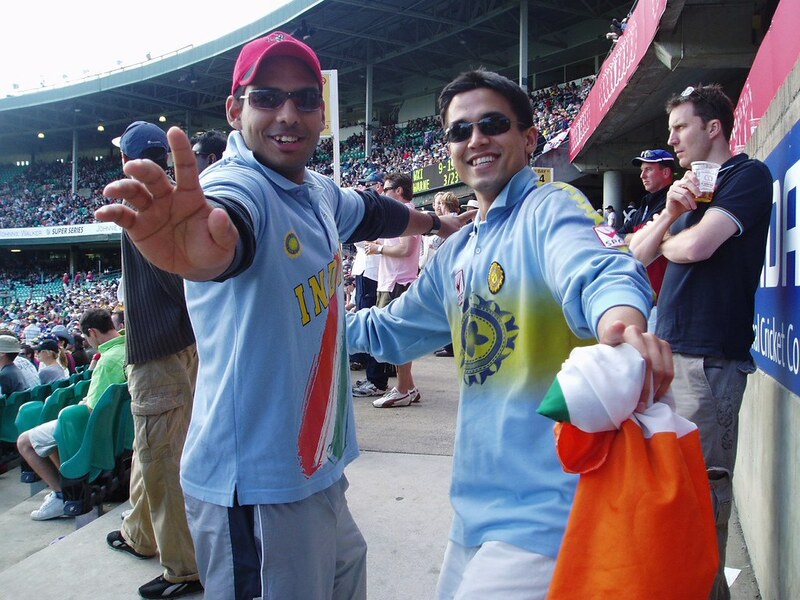 SCG has always been a favorite venue for India for its comparatively low bounce and help to spin. Batting is easy on the first few days and there are many memorable knocks by Indians there including those from Tendulkar and Laxman. Those who anticipated the Indian batting greats to flourish in SCG were treated to a show of their fading antics which were rustic and devoid of any flamboyance or passion. The realization that the Great Wall has developed cracks, Laxman – no more Very Very Special, Sehwag – a lottery and Tendulkar – trepid while nearing his personal milestone, was a jolt for many. Dhoni looked courageous but was unrealistic with his decision to bat first. The Indian procession to the dressing room started in the first over. Sehwag looked like playing club cricket in both the innings and it is time for someone to remind him that he cannot continue in the side as a once in a while performer. Though Gambhir put up a brave face in the second innings when the conditions were good for batting, he never looked convincing whenever the ball moved or bounced. Dravid never lived up to his stature and Australians succeeded in rearranging his stumps for the fourth time (once of a no ball) in this series. Laxman looked rusty though he scored a half century in the second innings. Ageing footwork and reflexes of Dravid and Laxman have been exposed in Australia. Kohli showed glimpses of his talent but did not utilize the opportunity. Only Tendulkar looked assured but his continued inability to play a long innings should be a worry for the Indians. Dhoni once again proved to be a non performer outside the subcontinent and his unbeaten half century in the first innings came more because of the Clarke’s decision to attack the tail enders than his batting ability. Ashwin once again proved that he has the abilities to become an all-rounder. Indian fast bowlers never looked menacing except Zaheer on the first day. This can be attributed to the good batting conditions and also to the short gap between Melbourne and Sydney Tests. Dhoni’s mediocre captaincy made run making easy for the Australians. Seeing the Australian bowlers correct their mistakes after each session, the Indian supporters were forced to wonder whether this Indian team really has a bowling coach. After a poor start, the Australians sent Indians for a leather hunt. Unlike the Indian veterans, Ponting and Hussey seemed to improve with age. Clarke assured an Australian victory in the 100th Test in Sydney with a captain’s knock and a prized wicket and declared the innings without bothering about his personal milestone. Will this open the eyes of those Indians who see every Test match as a venue for Tendulkar’s milestone? Haddin had a very poor match behind the stumps. The pace trio of Pattinson, Siddle and Hilfenhaus once again tormented the Indians. The Australians had a plan for every Indian batsman and executed it to perfection like in Melbourne. Australians made a remarkable comeback after their poor performances against South Africa and New Zealand and made the 100th Sydney Test, their own. The innings defeat in SCG has flooded the Indian camp with gloom and now it is up to the team to sit together and find a way out. The WACA pitch is well known for its pace and bounce and the Indian win there in 2008 might have prompted Dhoni to express optimism in the presentation ceremony after the SCG Test. For the moment, all the Indian fans are heart broken not because of the Indian team’s loss but because of its lack of passion, professionalism and willingness to fight. Swami Army summed up the Indian minds in their song “Why This Kolaveri Di”. There are many ways to look at Clarke’s declaration. For now the divide is even. Some say it was Pup putting team before self: the Australian way. And some say it is more to do with Pup was deliberate to declare there to show he put his team before self: desperately wanting to show that he does it the Australian way. He still has some way to go before he can win the public over. But, it is certain that an Indian captain wouldn’t have declared with another two and half days left, bowlers jaded, fielders disinterested and with a batsman closing in on a world record. And Clarke’s celebrations on reaching 100, 200 and 300 were stories in themselves. He has said the right things through the summer and has been intuitive and impressive for a young captain. Clarke: Ace batsman and captain. He'll hope his image of a person with questionable lifestyle is all about to change. Not another wicket fell for the visitors in another day of uninspired effort on the field. Barring Ishant, the bowling lacked penetration. It was like watching a perfect cover drive over and again. It is hard to forget that Clarke walked in to a crises on Tuesday. Those who remember it as a big score on a flat track against a blunt attack have short memories. It could all have been a different story if he had nicked one early. It has been Clarke’s Test so far, and might have firmly established himself in to the job and begun the turn around for Australia. For the Indians, there is little point in staring at the obvious. It is all fancy to call Dravid as the wall with an open gate after he has been out bowled thrice this series. And Sehwag can be more annoying than gum sticking to your shoe on his bad day. There are reasons for them being on this tour and that cannot be forgotten. Gambhir’s determination came through and Haddin will have played his part should Gambhir go on to play a marathon innings. India will rely on Gambhir to anchor and Tendulkar and Laxman to find their Sydney magic. Their best deeds have come in this land, and there is still hope that there is time for magic even on their last series in Australia. India’s fall from grace has been spectacular over the last year. They, evidently, seem to find more holes than they can sew every passing Test and seem to lack direction. Their reputation on being a tough side to beat seems now to be a fading memory, in black and white. India are now at crossroads and need something spectacular to lift them up (and not Kohli’s finger-lifting kind). It is but obvious that changes are inevitable sooner than later. India’s rebuilding cannot mean dismantling the current, but needs vision on how best to use the tools at hand to be in a position to challenge for a top spot at the test level in 18 months’ time. India’s administration and selection aren’t known for forethought and vision. It might throw Indian cricket back a decade nullifying the efforts of a generation of committed players. For now, the immediate goal of salvaging this Test should be its sole objective. There is enough happening during a Test to be worried about introspection. That can happen when the Test is done. For now, the mission would be to bat determinedly and put up a fight. Though much of the last hour was a struggle for survival, it is apparent that the wicket has not played any tricks. Australia might have to work harder than earlier in the series to bowl India out this time around. Their quicks have been impressive and they would love to see Lyon give them some control from one end. Australia are still odds on favourites to win this in a canter, if anything, it is only a question of day 4 or day 5.